I'm playing catch up and finally posting this report from CGS member Penelope Curtis on the North Star Workshop with Chris Enns which was held on Saturday, November 15, 2008, at the North Star Mine House designed by Julia Morgan. The front of the North Star House. On a not November-cool but unusually warm day, my husband Michael and I arrived at the House at 8:30 to finish cleaning up before our guests came. Michael swept the courtyard while I set up the historic display and put out the cups for the coffee & tea with pumpkin muffins. Soon Chris Enss drove up. She looked great in her 1900s outfit. After setting up her display in the library where we were going to have the morning session, Chris picked up a broom and began sweeping as she talked with Michael. Quite a sight! Carole Miller, who has worked with me as a volunteer caring for the heritage roses and docent for house tours, joined us followed by Marie Nelson, Cindy Toffelmier, and Lucinda "Cindy" Woodward from the State Office of Historic Preservation. We began chatting about the history of the house while waiting for Carolyn Steinberg, a California Genealogical Society member, and her friend Rita Matheson. When they arrived I gave an historical overview of the North Star Mine, its various owners and a description of the buildings that made up the mine's operation. Carole then gave a history of the House's landscaping and the heritage roses that were rescued and nurtured back to life when the Nevada County Land Trust took possession of the House and surrounding property in 2004. Chris passing out the workshop folders. After a tour of the house with stories about Mary Hallock Foote, 19th Century author and illustrator; Arthur DeWint Foote, superintendent of the Mine, photographer, inventor and horticulturist; James D. Hague, North Star Mine owner; and, Julia Morgan, architect, we took seats in the library and got down to the business of hearing Chris Enss' "Historical Cold Cases: Tips to Conducting Your Own Investigation." My cold case ghosts, Mary Hallock Foote & Julia Morgan were apparitions behind me in the living room. Chris provided each attendee with helpful documents and forms she uses when she is researching her historical characters. Chris Enss in front of the library fireplace. Tip 1. Prowl the Courthouse where marriage, divorce and birth records are kept. Sometimes a name will give a clue to a next step (www.cocourts.com). 2. Nose Around the Archives such as the National Archives which can give insights into our very early American ancestors (www.nationalarchives.gov). 3. Check Out the Church which from centuries back has been the repository of births, deaths and wills for the surrounding community. Also, the tombstones in the cemetery can reveal clues. 4. Hunt Through the Home especially the old attics where people have collected and left behind letters, wills, bibles & photographs. Surviving family members may have stories. 5. Tramp Through the Trades that are often in historical libraries. Trade directories have location information, services and the names of staff employed at the business. 6. Delve into the Dispensary or hospital where there may be patient records. 7. Poke Around the Pokey an unusual spot but may provide additional clues to a family's history. 8. Rove Over the Reports like the Dictionary of National Biographies in the local library. You never know who or what you'll discover. 9. Listen for Clues by exploring the oral history at the state archives which will have verified information. 10. Notice the Newspapers which have morgues where news is reported and obituaries are listed sometimes with biographical information not found any where else. With much food for thought and growling stomachs, we headed out onto the terrace to eat lunch and discuss Chris' tips. After which, we adjourned to the dining room where Chris gave pointers on how to develop a book and get it published in today's very competitive world. Heydey and Arcadia are two publishing firms that feature historical books. They look for books with marketable subjects whose foreward is by a "celebrity" or well known figure. A catchy or controversial title will sell better. Book publishers today want, after a query letter, a full book proposal...how it will make money; who is the audience; and, potential ROI. They also require a sample of the contents with several chapters and a bibliography that shows the origination of your source material. When your book is accepted, then it is time to market your book. Marketing your book can become a full time activity. At day's end around the dining room table. Left to right: Rita Matheson, Marie Nelson, Cindy Toffelmier, Carolyn Steinberg, author Chris Enns and Cindy Woodward. Chris concluded the day with questions about having a follow-up workshop next spring. Everyone was very enthusiastic about the prospect and had ideas about expanding its content. 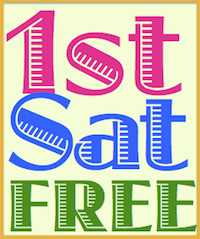 It was determined that the next workshop will be a Saturday in March, International Women's History Month. 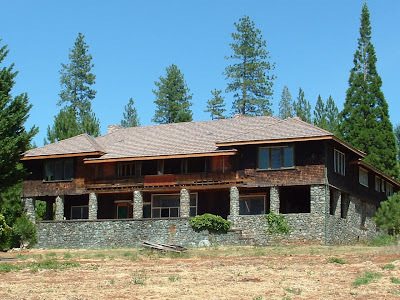 Call Penelope Curtis if you are in the area and want a tour of the house – 530-274-1398. Photographs courtesy of Penelope Curtis. Hi! What a great and informative blog. I have added the link to my blogroll.